The Charles Upham BIG SPLASH! All in the name of a good cause - The Rangiora Stroke Club. The Charles Upham Big Splash is a fundraising event for this fantastic local Club. We are thrilled to be holding the event at this brand new venue, and are excited to be offering reserved tables. Several rather keen, community minded folk gather donations and sponsorship to ensure they 'take the plunge' into a pool of Ice Cold Water in the middle of winter! Come along to the Rangiora RSA Club and watch business people and members of our community take the plunge in their themed outfits, book yourself a reserved table for you and your colleagues, friends or family and make a night of it while we count down each participant. We are currently seeking more 'Community Minded' people to participate in The Charles Upham Big Splash, and raise funds for the Rangiora Stroke Club. 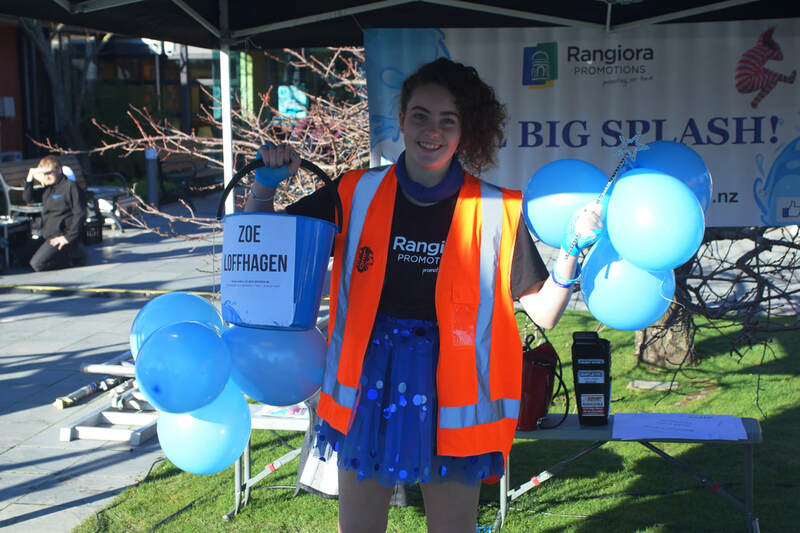 Each participant will need to nominate their own charity of choice and should you win one of the top three prizes, Rangiora Promotions will donate to this charity on your behalf. Reserved tables include a prime position up the front to watch all the participatnig jumpers. The tables seat up to 8 people and includes a complimentary welcome platter. The tables are $100 each and are limited so it's first in first served, so get in quick to book a table. The annual fundraiser for the Rangiora Stroke Club raised over $4,070 for the organisation. It was a terrific day and fantastic effort by all participants of this event. A huge thank you and congratulations to our 2016v Splash for Cash champions for their efforts in raising the most funds leading up to the event. The annual fundraiser for the Rangiora Stroke Club raised over $1700 for the organisation. It was a terrific day and fantastic effort by all participants of this event. A huge thank you and congratulations to our 2015 Splash for Cash champion Elisa Leach for her efforts in raising the most funds leading up to the event.